Hamlet by William Shakespeare – Not Available (ISBN: 978-0-7434-7712-3). William Shakespeare's tragedy in which Hamlet, the Prince of Denmark, struggles with the decision whether to avenge his father's murder. Also includes details on Shakespeare's life, world, and theater; and an essay that offers a modern perspective on the play. The tale concerns the journey of the narrator (Marlow) up the Congo River on behalf of a Belgian trading company. Far upriver, he encounters the mysterious Kurtz, an ivory trader who exercises an almost godlike sway over the inhabitants of the region. Both repelled and fascinated by the man, Marlow is brought face to face with the corruption and despair that Conrad saw at the heart of human existence. A Confederacy of Dunces is an American comic masterpiece. John Kennedy Toole's hero, one Ignatius J. Reilly, is "huge, obese, fractious, fastidious, a latter-day Gargantua, a Don Quixote of the French Quarter. His story bursts with wholly original characters, denizens of New Orleans' lower depths, incredibly true-to-life dialogue, and the zaniest series of high and low comic adventures"
Henderson the Rain King is a 1959 novel by Saul Bellow. The book's blend of philosophical discourse and comic adventure has helped make it one of his most enduringly popular works. It is said to be Bellow's own favorite amongst his books. The Bell Jar chronicles the crack-up of Esther Greenwood: brilliant, beautiful, enormously talented, and successful, but slowly going under -- maybe for the last time. Sylvia Plath masterfully draws the reader into Esther's breakdown with such intensity that Esther's insanity becomes completely real and even rational, as probable and accessible an experience as going to the movies. Compared favorably to the works of Faulkner and Dickens, Arundhati Roy’s debut novel is a modern classic that has been read and loved worldwide. Equal parts powerful family saga, forbidden love story, and piercing political drama, it is the story of an affluent Indian family forever changed by one fateful day in 1969. A Gathering of Old Men is a powerful depiction of racial tensions arising over the death of a Cajun farmer at the hands of a black man. In this celebrated work, his only novel, Wilde forged a devastating portrait of the effects of evil and debauchery on a young aesthete in late-19th-century England. Combining elements of the Gothic horror novel and decadent French fiction, the book centers on a striking premise: As Dorian Gray sinks into a life of crime and gross sensuality, his body retains perfect youth and vigor while his recently painted portrait grows day by day into a hideous record of evil, which he must keep hidden from the world. A father and his son walk alone through burned America. Nothing moves in the ravaged landscape save the ash on the wind. It is cold enough to crack stones, and when the snow falls it is gray. The sky is dark. Their destination is the coast, although they don't know what, if anything, awaits them there. 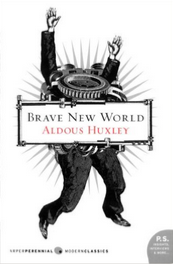 Brave New World remains absolutely relevant to this day as both a cautionary dystopian tale in the vein of the George Orwell classic 1984, and as thought-provoking, thoroughly satisfying entertainment.